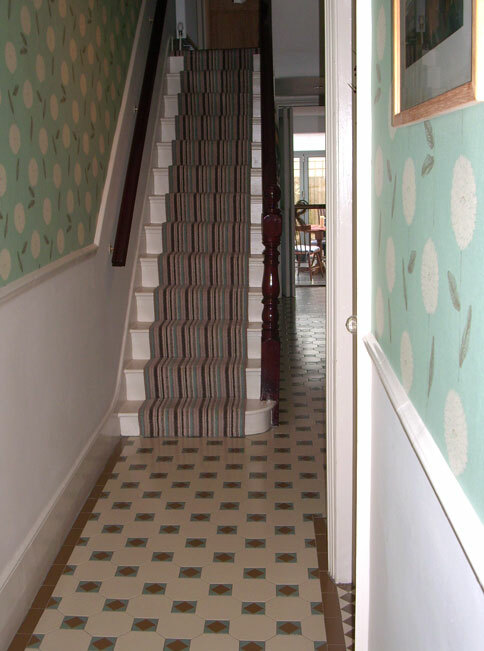 The colour scheme of cream, coffee and pale green lends a modern twist to this traditional design. 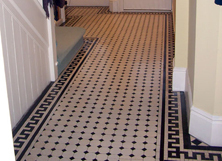 The simple border maximises space. 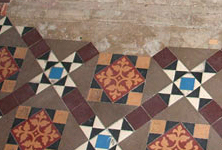 These original floors show a common Victorian design in mostly white tiles. 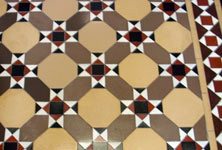 Replica geometric tiled floors can look authentic, or have a modern twist. 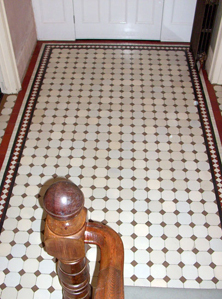 See some of our new installations and get design inspiration. 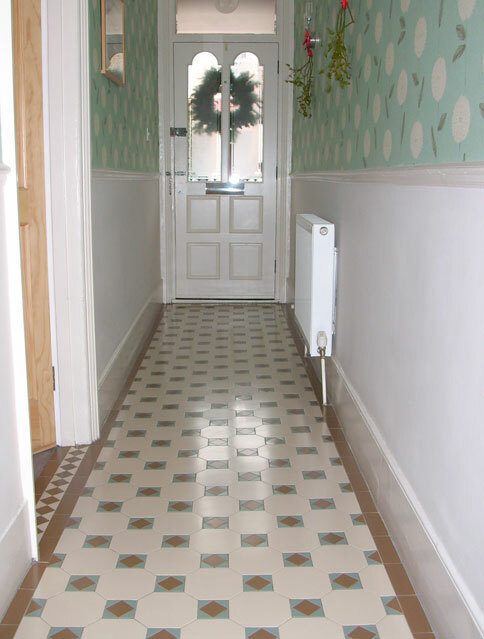 Missing tiles can be replaced and decades of ground in dirt removed to transform the drabbest of floors into an inviting conversation piece. 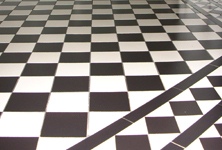 We offer a highly specialised service to extend the hall tiling seamlessly across the new floor area. 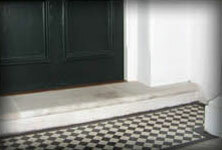 Find out what our customers think about us and what to do with your fireplace hearth; and view online design brochures for new installations.